During your home inspection, I am inspecting ceilings and walls for water stains, as well as cracks in drywall or plaster that may indicate roof or structural issues. Floors are inspected for damages and slope. I look for window seals that have failed. I check to ensure that stairs have proper railings and I am always on the lookout for other potential safety issues. 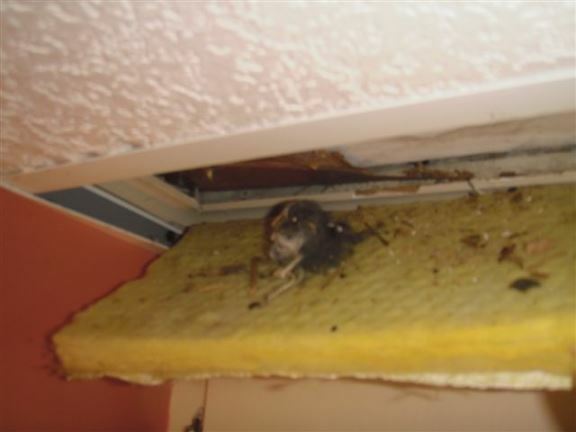 A dead mouse in the ceiling indicates there could be a rodent problem. 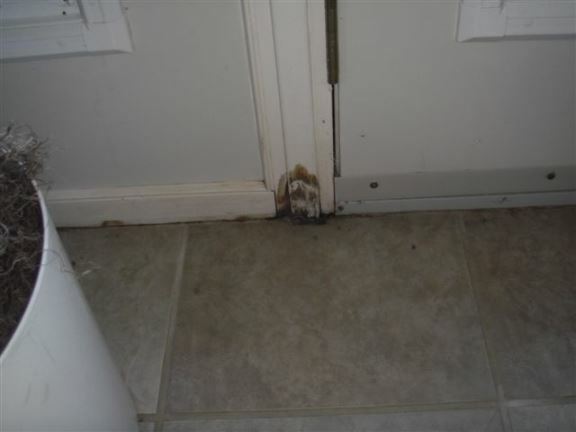 This door jamb is rotted on the inside because of a poorly fitted door. 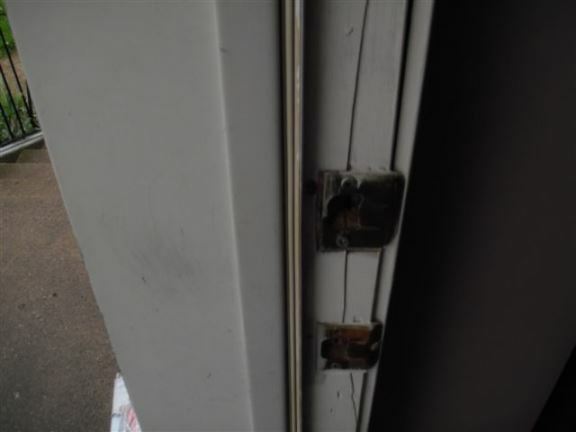 This front door jamb was split, apparently this happened during a break-in. 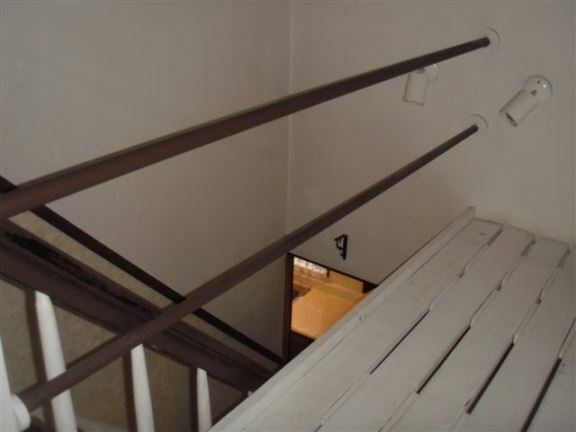 The open guard rail in this Blenheim house is a safety issue, especially for children. 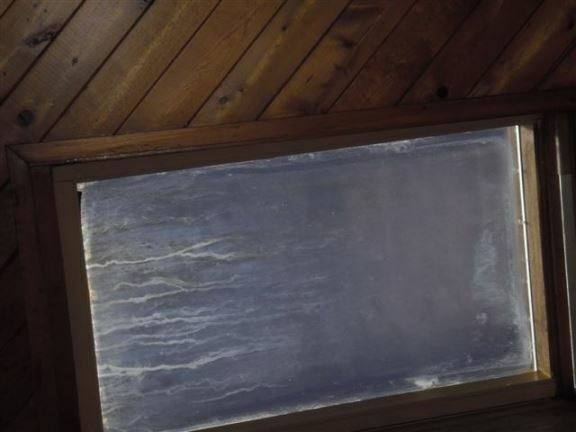 The window seals have failed in this skylight. This could be expensive to replace. 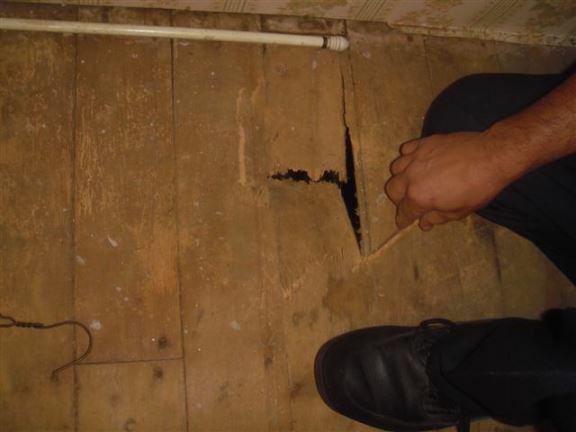 This house in Chatham had rotted floors because of a damp crawl space. 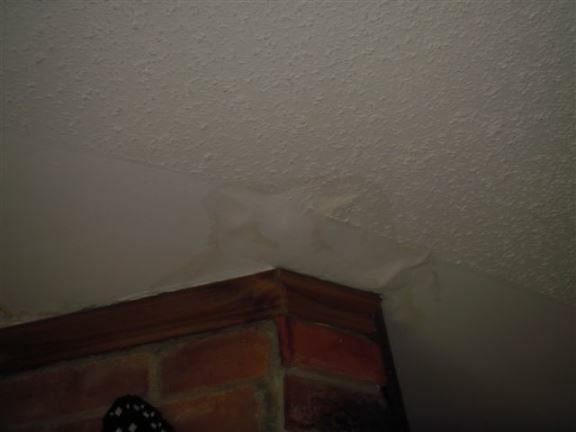 Here you can see a water-damaged ceiling near a chimney – most likely due to a flashing issue. The seal on this window has failed and the panes or the entire window should be replaced.